The Huyck surname is Dutch in origin. He was probably the father of Jan Huyck (see next generation). He was apparently well-off and lived at Roermond in the Netherlands. He had many children. Jan Huyck was born circa 1590 in Holland, Netherlands. He died between 1649-1657 in New Amsterdam (now New York), New York Co., New York. Jan was probably the progenitor of the Huyck line in America. It is said he emigrated in 1626 to what is now New York City with his brother-in-law Peter Minuit. He was married to Lyzbeth and lived in New Amsterdam. He died sometime between 1649 and 1657 in New Amsterdam. Jan married Lyzbeth Pieters Minuit. She was born circa 1600. She died after 1657. Andries Huyck was born about 1640 in New York. He died in August 1707 in Kinderhook, Albany (now Columbia) Co., New York. He was married in Albany County, New York, to Catryna (Catherine) Van Valkenburg. He and Catryna had 10 known children: Johannes (see next generation), Lambert, Burger, Catharina, Jochum, Cornelis, Anna, Andries, Marretje, and Margrietje. Andries settled at Kinderhook, Albany (now Columbia) Co., New York. He wrote his will in 1705 and apparently died before August 1707. His widow appears to have survived him. Andries married Catryna Lambertse Van Valkenburg circa 1667 in New York. She was born circa 1648 in New Amsterdam (now New York), New York Co., New York. She died after 1705 in Kinderhook, Albany (now Columbia) Co., New York. 2 Lambert Huyck was born circa 1675 in New York. She married Annatje Ratcliff on August 28, 1707. 3 Burger Huyck was born circa 1680. 4 Catharina Huyck was born circa 1682. 5 Jochum Huyck was baptized on July 29, 1685 in Albany, Albany Co., New York. 6 Cornelis Huyck was baptized on March 11, 1687/8 in Albany, Albany Co., New York. 7 Anna Huyck was born on December 31, 1690. 8 Andries Huyck was baptized on December 31, 1693 in Albany, Albany Co., New York. He married Maria Ouderkerk. 9 Marretje Huyck was baptized on November 11, 1696 in Albany, Albany Co., New York. 10 Margrietje Huyck was baptized on January 7, 1699/00 in Albany, Albany Co., New York. Johannes Huyck was born circa 1670 in Albany County, New York 3. He died after 1705. He was probably born in Albany, but there is no record. Most of Johannes' life remains shrouded in mystery. Neither he or his family have been found in Dutch church records, and it is possible that they lived away from the Albany area or did not attend church. He was married during the 1690's, but the name of his wife is not known. (One source says her name was Eva Alstine. It is also possible that it may have been Catherine, or the Dutch equivalent.) Johannes had 3 known sons: Andries, Willem (see next generation), and Johannes. Johannes was listed in his father's will of 1705, but nothing further is known of him. 1 Andries Huyck was born circa 1695 in New York. 3 Johannes Huyck was born circa 1700 in Albany Co., New York 3. He married Lena Van Vleiren on May 13, 1724 in Albany, Albany Co., New York 3. Willem (William) Huyck was born in about 1698 in Albany County, New York 3. He died after 1763 in Kinderhook, Albany (now Columbia) Co., New York. Willem lived at Albany, New York, where he married to Annetje (Anna) Ouderkerk on February 15, 1724/5. Sometime between 1725 and 1728, it seems that Willem and his family moved to Kinderhook, in what is now Columbia County, New York. Willem remained here for the rest of his life. He and Annetje had 4 children: Johannes, Yzaak (see next generation), Neeltje, and Andries. Willem died after 1763 in Kinderhook, New York. Willem married Annetje (Anna) Ouderkerk on February 15, 1724/5 in Albany, Albany Co., New York 7. She was baptized on October 30, 1698 in Albany, Albany Co., New York 7. She died after 1733 in Albany Co., New York. 1 Johannes Huyck was baptized on October 10, 1725 in Albany, Albany Co., New York 7. He married Maria Marselis. 3 Neeltje Huyck was baptized on June 27, 1731 in Kinderhook, Albany (now Columbia) Co., New York 6. She died in 1814 in Standing Stone, Bradford Co., Pennsylvania 3. She married Dirk Fitzgerald. 4 Andries Huyck was baptized on December 9, 1733 in Kinderhook, Albany (now Columbia) Co., New York 6. He married Magdalena Scheffer. Yzaak (Isaac) Huyck was born on October 31, 1728 at Kinderhook, Albany (now Columbia) County, New York 4. He died on April 16, 1826 in Trout Creek, Delaware Co., New York 3,4. He is buried in the Smith Cemetery, Trout Creek, Delaware Co., New York. He was raised in the area of Kinderhook, New York, and on November 26, 1759 at Schodack, NY, he married to Catlyntje (Eng: Catherine) Schermerhorn. They had two children: William and Anna. Sadly, Catlyntje died sometime between 1765 and 1769. Isaac remarried on December 18, 1769 at Livingston, New York, to Zanneke (Susanna) Clauw. They had 4 children together: Pieter (see next generation), Catherine, Jacob, and Hendrick. Isaac and his family may have lived at Kingston, New York during the 1770's but were back in the area of Schodack, New York by 1778. Isaac lived here until probably the year 1798, which is approximately when he moved out west with his family and they settled on large farms at what is now Trout Creek in Delaware County, New York. His wife Susanna died there in 1816 and he died on April 16, 1826, at the age of 97. Isaac married first Catlyntje (Catherine) Schermerhorn on November 26, 1759 in Schodack, Albany (now Rensselaer) Co., New York 3. She was born before March 1, 1729/30 in Kinderhook, Albany (now Columbia) Co., New York. She died between 1765-1769 in Schodack, Albany (now Rensselaer) Co., New York. 1 William Huyck was baptized on February 10, 1763 in Schodack, Albany (now Rensselaer) Co., New York. He died in 1849 3. 2 Anna Huyck was born circa 1765 in Schodack, Albany (now Rensselaer) Co., New York 3. She died after 1820. She married Martin Gardinier on December 22, 1784 in Kinderhook, Albany (now Columbia) Co., New York 3. Isaac married second Susanna Clauw on December 18, 1769 in Livingston, Albany (now Columbia) Co., New York. She was baptized on July 30, 1732 in Kinderhook, Albany (now Columbia) Co., New York 6. She died on July 16, 1816 in Trout Creek, Delaware Co., New York 4. 4 Catherine Huyck was born circa 1773 in New York 3. She died after 1820 in Delaware Co., New York. She married Cornelius A. Decker between 1790-1800. 5 Jacob Huyck was born circa 1776 in New York 3. She died on January 27, 1835 in Fairfield Twp., Huron Co., Ohio 3. She married Sarah Crawford. 6 Hendrick Huyck was baptized on April 26, 1778 in Kinderhook, Albany (now Columbia) Co., New York 3. She died on November 26, 1851 in Norwalk, Huron Co., Ohio 3. He married Catherine Teed circa 1799 in Delaware Co., New York. Pieter (Peter) Huyck was born on June 26, 1771 at Schodack, in Albany (now Rensselaer) County, New York 3. He died on September 18, 1854 in Trout Creek, Delaware Co., New York 3,4. He is buried in the Smith Cemetery, Trout Creek, Delaware Co., New York. He was baptized in Schodack on July 14, 1771 and was named after his maternal grandfather Pieter Hendrickse Clauw. During his early childhood Pieter may have moved with his parents to Kingston in Ulster County, New York. If that is the case then they were driven from their homes in 1777 when it was burned by the British and at that time would have returned to Schodack, New York. Pieter spent the rest of his childhood and adolescence at his parents' home in the Schodack/Kinderhook area (Note: the towns of Schodack and Kinderhook border each other and the Huyck family made use of both churches). Pieter was married at Schodack on March 8, 1794 to his first cousin named Anna Clauw. They lived briefly in Kinderhook, New York. Sometime during the 1790s they moved out west to what is now Trout Creek in the town of Tompkins in Delaware County, New York. Pieter and his first wife Anna had 4 children: Charlotte (see next generation), Anna, George, and Isaac. Sadly, his wife Anna died in 1804 giving birth to her fourth child Isaac. Pieter remarried on October 16, 1805 in Delaware County, New York, to a distant cousin named Cornelia Huyck. They had 9 children together: Cornelius, Lavinia, Peter, Andrew, Jacob, Julia, Elisha, Esther, and Susanna. After moving to the English speaking area of Delaware County, Pieter's name was Anglicized to Peter. He was a farmer of moderate success and also a tavern keeper at Trout Creek. There were no Dutch churches in the area and Peter and his family joined the Presbyterian Church at nearby Cannonsville. Peter died at his farm on September 18, 1854, at the age of 83. He was buried in the Smith Cemetery at Trout Creek beside his two wives and his parents. Pieter married first Anna Clauw on March 8, 1794 in Schodack, Rensselaer Co., New York 5. She was born on August 9, 1774 in Kinderhook, Albany (now Columbia) Co., New York 4. She died on September 3, 1804 in Trout Creek, Delaware Co., New York 3,4. 2 Anna Huyck was born on December 16, 1798 in Trout Creek, Delaware Co., New York 3. She died after 1880 in Tompkins, Delaware Co., New York. She married Abraham Constable. 3 George W. Huyck was born on April 5, 1802 in Trout Creek, Delaware Co., New York 3. He died circa 1868 in Michigan 3. She married first Mary Cunningham in Michigan. She married second Mary Neff on September 3, 1840 in Genesee Co., Michigan. 4 Isaac Huyck was born on September 3, 1804 in Trout Creek, Delaware Co., New York 3. He died on May 3, 1885 3. Pieter married second Cornelia Huyck on October 16, 1805 in Tompkins, Delaware Co., New York 3. She was born on December 25, 1785 in Fonda, Montgomery Co., New York. She died on September 4, 1865 in Trout Creek, Delaware Co., New York 4. 5 Cornelius Huyck was born on April 17, 1806 in Tompkins, Delaware Co., New York 3. He died on October 28, 1816 in Tompkins, Delaware Co., New York 3. 6 Lavinia Huyck was born on July 18, 1808 in Tompkins, Delaware Co., New York 3. She died on December 22, 1879 3. She married Stephen Bullock. 7 Peter Huyck was born on March 26, 1810 in Trout Creek, Delaware Co., New York 3. He died on December 10, 1896 in Delaware Co., New York 3. He married Esther Seeley. 8 Andrew Huyck was born on June 1, 1812 in Trout Creek, Delaware Co., New York 3. He died on October 14, 1895 3. He married Ellen Burdick on July 26, 1849 in Mansfield Twp., Tioga Co., Pennsylvania. 9 Jacob Huyck was born on April 26, 1814 in Trout Creek, Delaware Co., New York 3. He died on August 4, 1881 3. He married Susan Reynolds circa 1845. 10 Julia Ann Huyck was born on October 2, 1816 in Trout Creek, Delaware Co., New York 3. She married John Love. 11 Elisha W. Huyck was born on June 25, 1819 in Trout Creek, Delaware Co., New York 3. He died on September 6, 1901 in Windsor, Broome Co., New York 3. He married Anna M.
12 Esther Huyck was born on November 17, 1821 in Trout Creek, Delaware Co., New York 3. She died on February 12, 1823 in Trout Creek, Delaware Co., New York 3. 13 Susanna Huyck was born on April 21, 1824 in Trout Creek, Delaware Co., New York 3. She died on December 31, 1857 3. She married Joshua Bishop. Charlotte Huyck was born on April 3, 1796 1,2 in New York *. She died on August 23, 1884 1,3 probably in Broome Co., New York. She is buried in the Walton Cemetery, Walton, Delaware Co., New York. * It is not known where Charlotte was born. She was baptized on December 31, 1797 in Kinderhook, New York. It is possible she was born there; but it is also possible she was born in the neighboring town of Schodack, where there is also reference to her family living and attending church. A third option is that she was born in rural Delaware County, New York. Her parents had migrated there at an unknown date in the 1790s and a later census record (1875) records that Charlotte was born in Delaware County. This may explain why she was baptized when she was 1.5 years old; her parents may have waited until they could travel back to their hometown to baptize their daughter. Charlotte was named after her maternal grandmother: Charlotte Web Clauw. Charlotte was raised in rural Delaware County, New York; where her parents had settled either shortly before, or after, her birth. They settled at what is now the village of Trout Creek in the town of Tompkins. 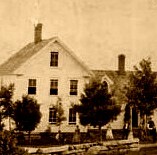 After moving to Delaware County, Charlotte's family joined the Presbyterian Church. Charlotte frequently went by the pet name "Lottie." Charlotte was married in about 1821 to Amherst Owen(s) from the nearby village of Cannonsville. They apparently moved frequently during their marriage and spent time living in the village of Cannonsville, in other parts of Tompkins town, and briefly in nearby Wayne County, Pennsylvania. Charlotte's husband died in 1869. Charlotte has not been located in the 1870 census, but in 1875 and 1880 she was living with her daughter Olive in Broome County, New York. She died on August 23, 1884, probably in Broome County, New York. Charlotte married Amherst Phelps Owen(s) circa 1821 in Cannonsville, Delaware Co., New York 3. 3. Wilson, Sylvia E. Huyck, Howk, Houck, in America, 1600's - 1982. Medina, WA, 1982.